Business Books offer a great way of learning and at a much lower price than taking, for example, a specialist MBA Course. By reading a book, you consume a huge amount of research in a relatively short amount of time, and it is one of the best ways to improve your skills. The only problem is that there are a lot of Business Books in the market and there are much more to come. For instance, just doing a search for “Business Books” books in Amazon results in more than 2 million books about Business, so how do you make up your mind about what to read? You can do a google search and search for the Best Business Books, but then you get hundreds of “Best of Lists” in front of you, so that doesn’t help a lot either unless you want to spend a full day going through all those lists. Well, that is exactly what we did! We searched for 50 “Best of Lists” highlighting the most recommendable Business Books by authority sites, then we tried to find MBA Reading Lists recommended by the Best Business Schools in the world, selected and combined the 20 most valuable “Best of Lists” / “MBA Reading Lists” and earmarked and ranked what Business Books keep up appearing on most of those recently published lists. 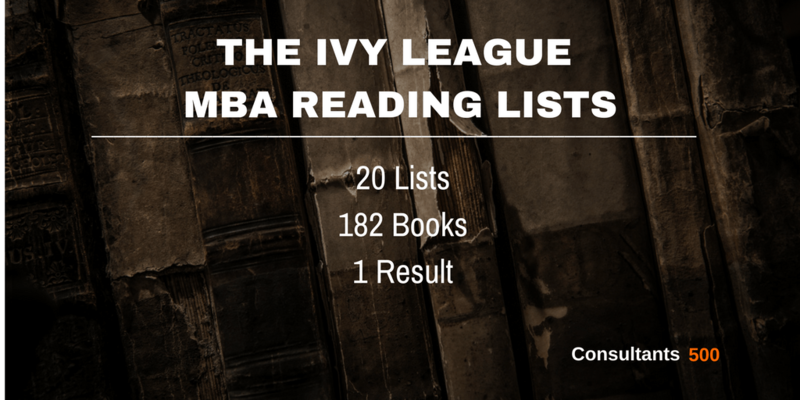 From a total of 182 books reviewed and ranked, here are the 20 most recommended Business Books that appear on most of the MBA Reading Lists! As we are a small business ourselves, we use this list as well for educating and inspiring our minds and for optimizing our Consultants 500 platform. And in case you didn’t know yet, on our platform you can search for all types of Business Advisors all over the world. Finally, if you are a Business Advisor, you can always register for free if you want to, it’s all up to you. See here how it works. Listed 4 out of 19 times and is among the most recommended MBA books. This book teaches the fundamentals of organizing a new business via a model of fast and continuous learning by testing and experimenting. Inspired by lean manufacturing, Eric Ries introduces the concept of “validated learning,” based on doing ongoing experimentations that are measured from the beginning, and adjusting or fine-tuning your direction and actions based on these findings. 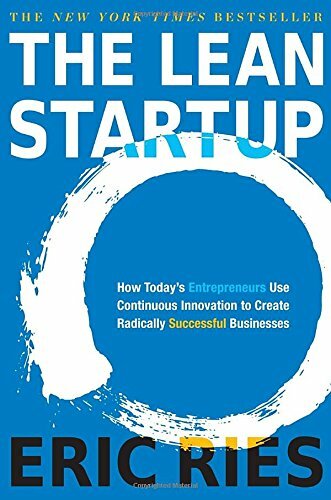 The Lean Startup offers entrepreneurs of all sizes a way to continuously test, adapt and improve based on a scientific approach. 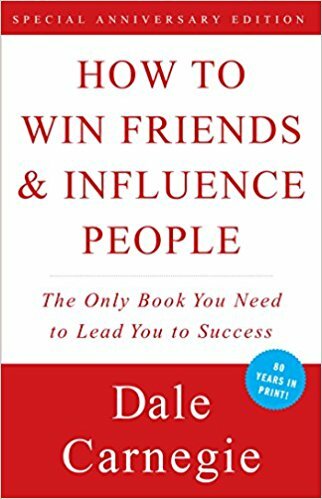 It is without any doubt one of the best business books to read, and that is one of the reasons why it is included in many MBA reading lists of top universities across the world. Listed 4 out of 19 times, this book is according to Forbes, one of the best baseball, and management, books out there. 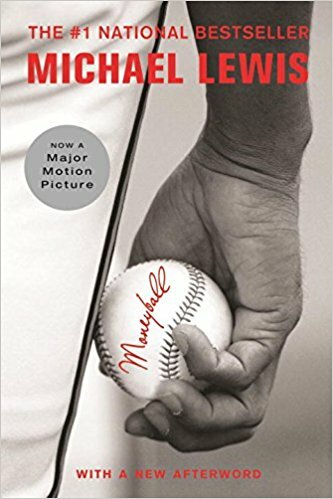 It is favorable to readers from different dimensions; for baseball fans to know how to build a stronger and smarter winning team; for statistic fans – on how to employ numbers to get the best performance; and, for lovers of human nature, it sheds lights on how perpetuated mistakes can be eliminated. Listed 4 out of 19 times, is an incredible study on human behavior. and this book was published in 1936. This book is one of the most successful books in American history. Carnegie advices on how to relate to other consumers in order to become a better salesman. The knowledge in the book can be applied by business owners to handle demanding clients and win them over. Today, this great business book is still listed as number 7 of most read non-fiction books at Amazon, which says it all. Listed 4 out of 19 times. 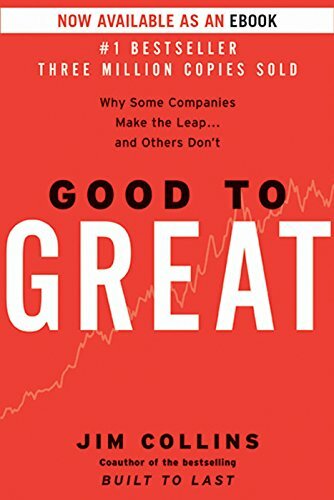 In this five-year study, Collins brings out the reason why some businesses have made it to the transition of good-to-great and others have not. He particularly pinpoints on the myths that businesses rely on to succeed. Listed 3 out of 19 times. 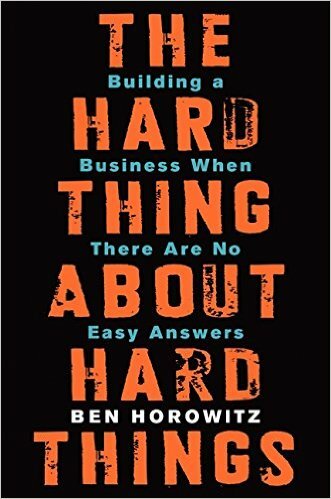 Horowitz is a technology entrepreneur and co-founder of one of the most successful venture capital firms in Silicon Valey. This book is an important source for those in business or any other person. It provides a view of the challenges that may occur while running a business which includes employee layoffs, gaining loyalty by employee and customers, and different ways of capturing the investors’ attention. The author explains this using war stories shared to show that the right things are the same as the hard things. Listed 3 out of 19 times. From the brothers Heath – Chip a professor at Stanford’s business school, Dan a teacher and textbook publisher. The book guides the readers on how to successfully communicate with clients. The authors outline certain principles that can make an idea “sticky” through engagement of clients’ emotions, memory, and self-motivation. Listed 3 out of 19 times. This book goes against the stream of what most business books say and will make you uncomfortable. It gives a procedural guide on ways to carry out modern business. The authors are software entrepreneurs who have been in the business for over a decade and have obtained sustainable profits. The book advices the reader on: using prototypes instead of real designs, how flexibility is preferred in forwarding the momentum of the business, and why getting funds from outside the business can lead to the collapse of the business. Listed 3 out of 19 times, is an international bestseller. In his book, Kahneman teaches how human intuition works as a way of having an advantage of persuasion. He says there are two systems that contribute to how we think. System 1 – being fast, automatic, and emotional – drives to having feelings and impressions. System 2 is rational thinking which is slow and systematic and is the reason for logical thinking. He pinpoints when to give into System 1 and when to take advantage of System 2. Listed 3 out of 19 times. The classic bestseller that taught the business world that safe is risky; very good is bad; and above all, you’re either remarkable or invisible. The author is also nicknamed as a “marketing guru” and this business book has high-lasting impact globally. Godin explains the importance of making something unique and eye-catching to the target market. He gives relevant examples from companies such as Apple and JetBlue. He explains how the companies have branded their products in a noticeable style and use this as a marketing technique. Listed 3 out of 19 times. This book is a guide on how to have a luxurious lifestyle and being a location independent entrepreneur. Ferris gives an enticing story of how easily you can outsource assistants to have unlimited freedom to do whatever you want, how professionals can travel the world and still have their jobs intact and how easily you can eliminate 50% of your workload. Listed 3 out of 19 times. Clayton Christensen is an Associate Professor at the Harvard Business School and in his book he describes the importance of adopting technology and its contribution to the success of a company. He emphasizes that most companies fail because of resistance to embrace change in a very dynamic world. He talks about how sticking to the same right practices can be the cause of failure of a company even though they had previously led to its success due to lack of innovation. Listed 2 out of 19 times. Both authors are Professors at Stanford University and they attempt to give a guide to management through a series of stories based on their personal experience at Silicon Valley. They reveal that organizations develop good practices but they fail due to challenges arising during their implementation in the organization. Listed 2 out of 19 times. The author is a former Professor at the Wharton Business School and is retired now. We live in a world full of uncertainty, yet it is within our grasp to take its measure. This book gives the reader a future view of a business world and its uncertainty. It elaborates a visual highlight on how to measure the future requirements, using illustrations he explains on how to predict a business future and understand its outcomes. Listed 2 out of 19 times. The author is a Professor at Stanford University and a Fellow at Cambridge University. According to this book “The Flaw of Averages” typically results when someone plugs a single number into a spreadsheet to represent an uncertain future quantity. It is a must-read for anyone who makes business decisions in the face of uncertainty. The author reveals that most people are insufficiently equipped on how to deal with risks. The book teaches on how to validate a single number to represent a larger quantity of uncertain future instances. Listed 2 out of 19 times. The Partnership chronicles the most important periods in Goldman Sachs’s history and the individuals who built one of the world’s largest investment banks. It is an enticing story of Goldman’s rise under challenging times of competition, legal regulations and dynamic changes in the market. It tells a fascinating story of people behind the world’s greatest financial firm out of one that was on the verge of destruction. Listed 2 out of 19 times, Rosen wrote a definitive handbook on word-of-mouth marketing, completely revised and updated for today’s online world. It is based on over one hundred new interviews with thought leaders, marketing executives, researchers, and consumers. This book is a must-read for every entrepreneur who wishes to have their products in the sports lit. Rosen emphasizes the importance of word-of-mouth marketing strategy with real examples of most prominent and successful companies in today’s world. Listed 2 out of 19 times, Surowiecki is a writer at the New Yorker and his work appears in a wide range of publication, including the New York Times, the Wall Street Journal, and Wired. The author expounds on the importance of adopting ideas from a larger group, he suggests that a larger group’s idea is more concrete compared to a small group which he argues better in providing solutions that foster innovation. The author explains how the human psychology, culture, history, politics and behavioral economics affect the business world. Listed 2 out of 19 times. Friedman was a research fellow at Stanford University, a Professor at the University of Chicago and was awarded the Nobel Memorial Prize in Economics in 1976. This book has been selected as one of the “hundred most influential books since the war”. In his book, Friedman sheds light on how capitalism can be used as a tool for gaining economic freedom while also benefiting from political freedom. He explains on how we can benefit from the government without our individual freedom being threatened. Listed 2 out of 19 times. This is the story of America’s most innovative developer and luxury retailing pioneer Alfred Taubman from the start of his career as a store designer, mall developer and, eventually, owner of one of the world’s leading auction houses Sotheby’s. Listed 2 out of 19 times. This book reveals that economic concepts are necessary to succeed in the world of information technology. The authors argue that, for managers to develop and maintain effective strategies of thriving in today’s economy, they must have a comprehensive understanding of the economies of information technology. These three Business Schools, Harvard, Stanford and Wharton often appear in the top 5 of Best Business Schools no matter what year you look at or whether it is global or a US only ranking of Top Business Schools. As you can see from the below Sources Used list there are a couple of more recommended reading lists related to Wharton Business School. If these sources were also used for this section, then both lists would be more or less a duplication of each other which obviously does not make sense. Interestingly, none of the books recommended by MIT Management Sloan School ended up in the above top 20 list. This could be because, at its core, MIT is a Technology University, even the best one in the world for 7 years in a row according to the QS world university rankings. As we all know, technology is (becoming) the number 1 differentiator for business success so maybe the business books are behind a bit. Who knows, but we’ll see what happens in the future. More than 75% of potential Clients who look for Consulting Services start a Web Search to find the best Consulting Pro for the Job. Because the internet is by far the leading channel, it is critical that your business can be easily found on the internet. Creating a profile on our Platform is free and opens the door to new opportunities, it can be done in only a few minutes and without any credit card. Easily find and compare highly qualified Consulting Pros by searching our Platform, which can be Strategy Consulting Firms, Strategy Consultants, or Freelance Consulting Experts. Directly contact and work with your ideal candidate in any way you like. Searching is always free, and that also means that we never charge any transaction type of fees.